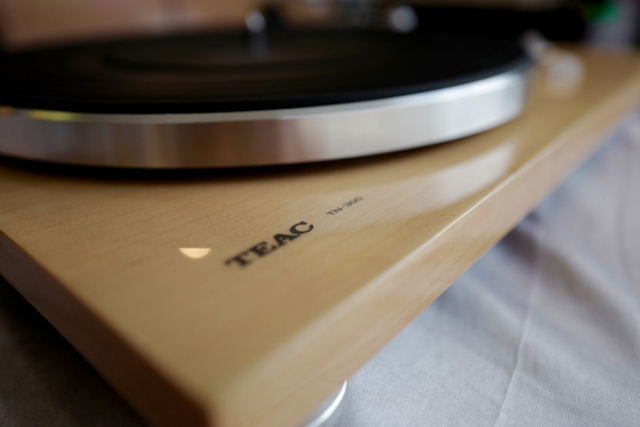 I have to admit that when I was first approached by the lovely Mandy, the rep for a number of our brands, I tried pretty hard to politely resist this new TEAC TN-300 turntable. My immediate thought was ‘’Oh no, not another trend following, me too, bandwagon jumping deck that will be here today and gone tomorrow.’’ Wrong! 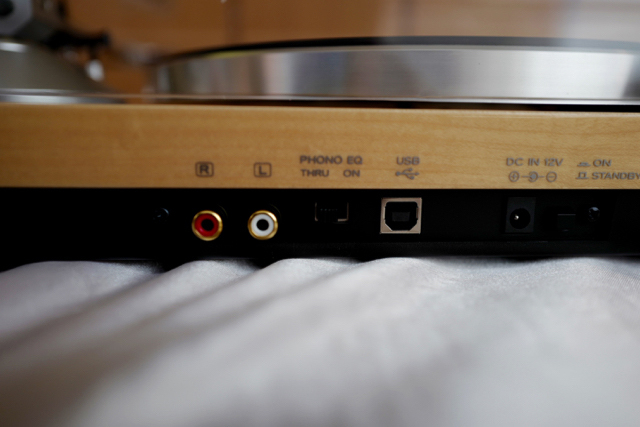 Vinyls, or as I like to call them, records, are on many people's lips and as with headphones recently, every Hi-Fi manufuacturer seems to make a record deck to play them through. Regrettably, many of those on offer are just not up to the task of delivering great sound and don't show off the true advantage that vinyl records have. I assumed that we had another one here. Wrong again! So lets look at what’s on offer here. Firstly the TN-300 is available in no less than five different finishes: High gloss red, black or white. Furthermore it is offered in two real-wood veneers, natural and cherry, all solid MDF rather than plastic and all are at the same price. 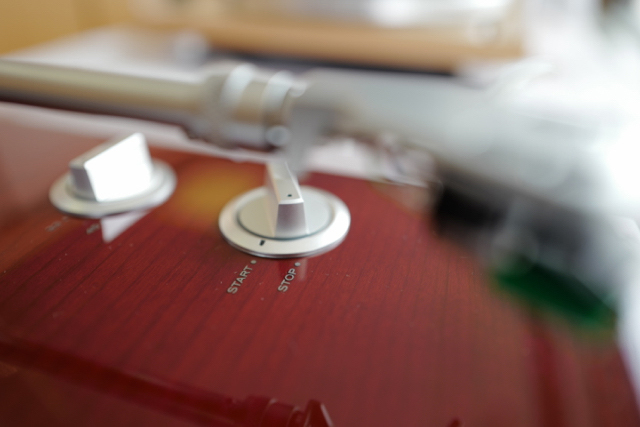 The finishes are nothing short of exquisite and at first, second or even third glance they would look appropriate on a record player well into four figures. Indeed the overall look is somewhat reminiscent of the big JVC and Denon models of the 70s. 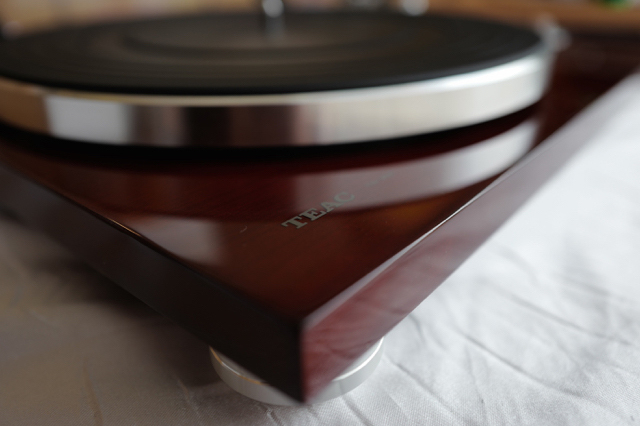 This turntable really looks the part for those that crave the ultimate retro styling, especially in the wood finishes. They deck is driven buy a DC motor with electronic speed selection of 33/45 so no lifting off the platter and messing about with belts and pulleys here. The straight tone-arm is factory fitted with what is known as the industry’s finest entry-level cartridge of all time in the form of the Audio-Technica AT-95E which ordinarily retails for £40 so no generic unbranded make-do here either. Topped with a beautiful and totally transparent injection-moulded lid you’d think this is about what one would expect from a £300 turntable. Wrong once more. You see, on top of all this, the deck has a built in MM phonostage and a surprisingly good one at that. Indeed one would have to spend at least £100 on an equivalent with a cable to hook it up to an amp. 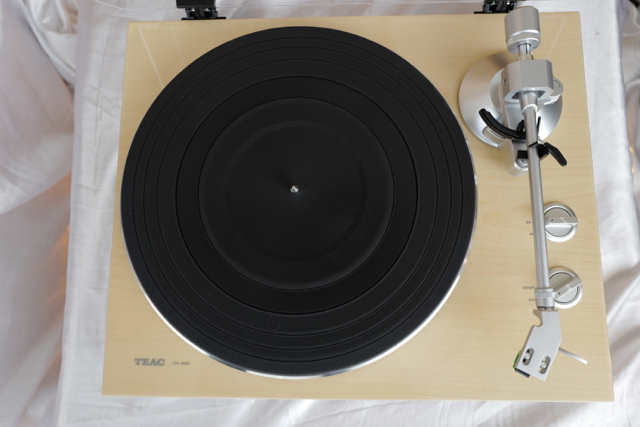 Plus the TN-300 has an USB socket on the rear for those that what to make digital copies of their records. And now the best bit which I have saved until last. The sound. Frankly, for £300 all in this deck is awesome. Warm and rich, textured and detailed with great flow and overall, a pleasure to listen to whether it’s with the internal phono stage or a high quality stand-alone model. A retro-styled, over-finished underperformer of a deck? No one likes to admit to being wrong but I’ll let it go, just this once. A big thank you to Mandy in not taking no for an answer! Looking for even greater performance? Have a bigger budget? Look out for Part 2, coming very soon.